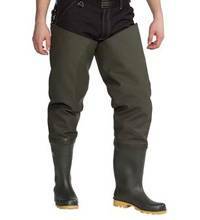 Snowbee Hi-Elastic PVC waders have been a faithful partner and phenomenally reliable waders, adorning fishermen, boatmen, pond and river workers all over the world for over 20 years. 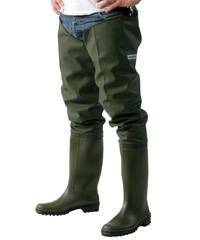 But during Snowbee's review for 2017 they have come up with a brand new and advanced modern material and design which we simply had to introduce. 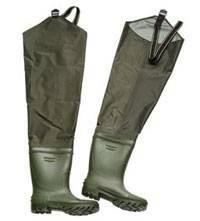 The design has enabled them to maintain an affordable price, whilst at the same time providing a superior chest wader, built to last, easy to maintain, light and extremely comfortable....enter the Granite PVC Waders. 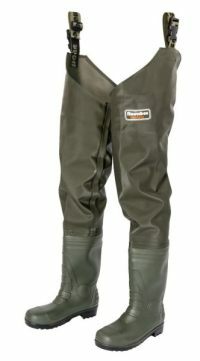 Available in in a full size range from UK 5 - 13, these waders are sure to bring Snowbee fully back into the market for the inexpensive, but superior quality waders for every day, general use.